MGM has inked a first-look deal with George Clooney and Grant Heslov’s Smokehouse Pictures, the studio’s motion picture group president Jonathan Glickman announced on Tuesday. The deal will span two years, and the first film under the deal will center on motoring engineer and designer John DeLorean. Clooney is set to direct the untitled John DeLorean feature, with the possibility of playing DeLorean. The film will be written by Keith Bunin (“Which Brings Me to You”) and is based on the Epic magazine article “Saint John,” written by journalist Alex Pappademas. “We’re thrilled to be working with Jon and all the folks over at MGM and look forward to a long successful partnership,” Clooney and Heslov said in a joint statement. Upcoming for Smokehouse is the highly anticipated Hulu limited series “Catch-22,” based on Joseph Heller’s seminal novel of the same name. The series is set to debut on May 17. From Paramount Television and Anonymous Content, the six-part series stars Clooney, Christopher Abbott and Kyle Chandler. Clooney and Heslov serve as executive producers on behalf of Smokehouse Pictures and they each directed two episodes of the series. Smokehouse is also producing “On Becoming a God in Central Florida” for YouTube, about Krystal Gill, a minimum-wage-earning water park employee who will eventually scheme her way up the ranks of Founders American Merchandise: the cultish, flag waving, multi-billion dollar pyramid scheme that drove her family to ruin. 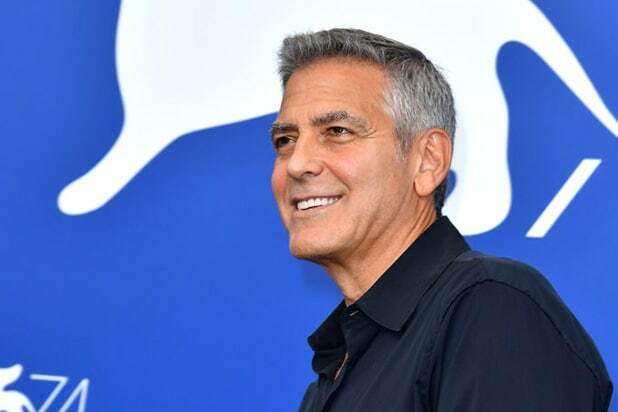 Clooney last appeared in 2016’s “Money Monster,” directed by Jodie Foster, and he wrote, produced and directed 2017’s “Suburbicon” starring Matt Damon. So he's left Sony? Or is this something different? Katie, I'm too lazy right now to look up the details, but from the article, it sounds like this deal is for films. I think the Sony deal is for TV and streaming. There is a strong possibility I have no idea what I'm talking about. But it's impossible to have two concurrent first-look deals with different companies for the same type of projects... speaking on behalf of Captain Obvious... and I think Smokehouse is still developing projects with Sony, so I'm drawing, very lazily, my conclusion from that. Also too lazy to look it up, so more than happy to accept your explanation!